That’s one more. It’s radder. Get it? Think Spinal Tap on this 11th day of the 11th month of the 11th year of the millennium. OK, so it’s a stretch but the pics from this year’s annual celebration at Burnside are ready for your review. Check them out after the turn. EPM “smelling the glove” Out! 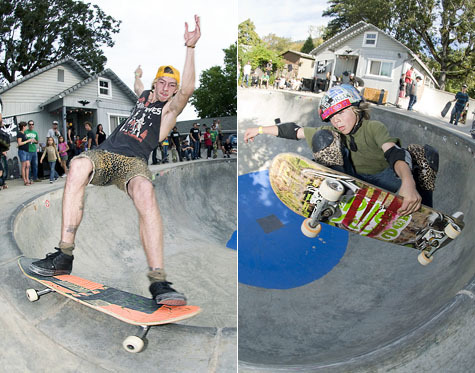 One of the highlights of the Portland Dew Tour, in addition to a sweet concrete bowl, was the opportunity to see legends shredding the bowl. Maybe it’s time to bring back the Hester Series and let these dudes go at it again? 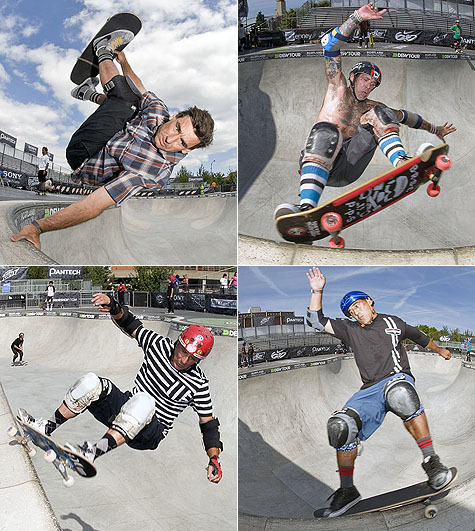 Check out Lance, Duane, Salba, Cab, Tony Mag and more keeping the stoke after the turn. 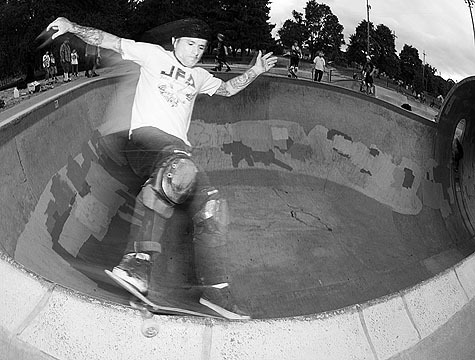 EPM “portland has bowls” Out! 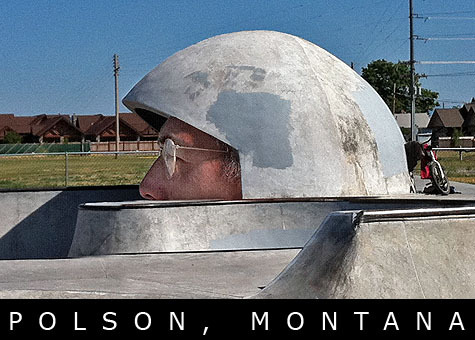 We found Paul Bunyan’s helmet and it’s in Polson, Montana. No kidding, Dreamland built the worlds only skateable helmet, as far as we know, and it’s a blast. Check out Jason, Jeff, Shawn M., Shawn R., M.C. and K.C. finding their lines inside of this monument to head safety along with a few bonus shots after the turn. EPM “we can skate if we want to” Out! Hey, it’s Friday and the weather is looking like it might hold for tomorrow’s Pier Park session with Swami. If you’re looking for some serious deep bowl shredding, Pier Park is the spot. 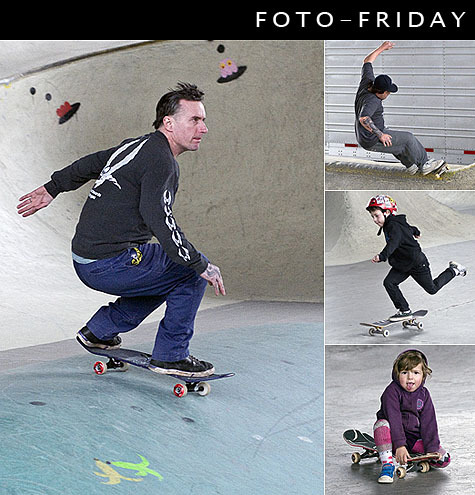 Check out this week’s Foto-Friday featuring a bit of shredding by Benji, Ty, Adam, Swami and more after the turn. EPM “tubeaway army” Out! If you like to skate big concrete, be sure to put Pier Park and Lincoln City on your skate bucket list. Big, fast and fun are just a few words that come to mind when describing these Dreamland creations. Check out Julie, Mike, Shane, MC and more going big, riding fast and having fun after the turn. EPM “rain, rain, go away” Out! April has finally arrived and along with it, hopefully, more seasonable weather. March was a wet one and Burnside was one of the few places where you could find a bit of dry terrain. We snapped a few pics during a Sunday brunch session at the park last weekend. Check out some wet weather refugees on this week’s Foto-Friday after the turn. EPM “shamwow” Out! The gents over at Addikt recently took a trip to the Land of the Rising Sun for a bit of shredding. 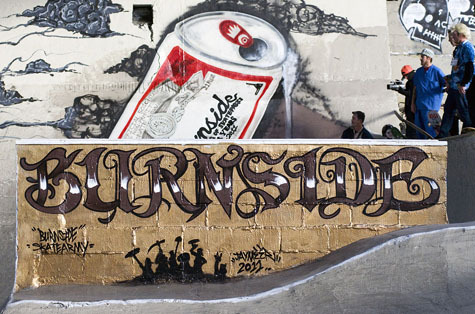 Check out a few photos from their trip along with a short clip at P-Nuts bowl. To all of our friends in Japan, we are thinking of you. 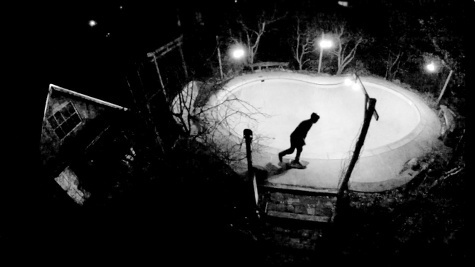 EPM “skate united” Out!